Welcome to the Making Money Online Baby Steps -Part 2 Guide or Knowledge sharing Post about how to make money online in 2014. Which domains and extensions are suitable for you? I experienced Personally if your blog or website is targeting Local audience in south Africa go far .co.za People locally tend to type co.za often than any other domain extension. But it also depends If your blog or website covering worldwide Audience then it is good to use .com domain names. Selecting a Good Domain Name ? Good article Read here. Got your domain Name which suits you What Next . Find if the domain name is available or Taken by someone already . 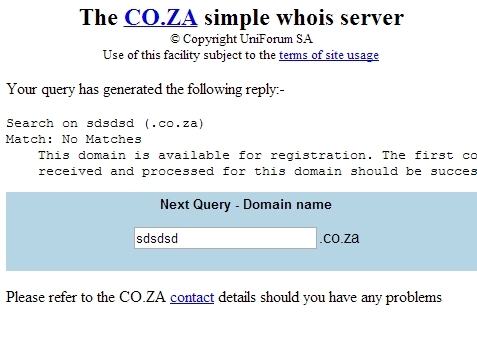 if it is a .co.za domain , i check it like below. 1. 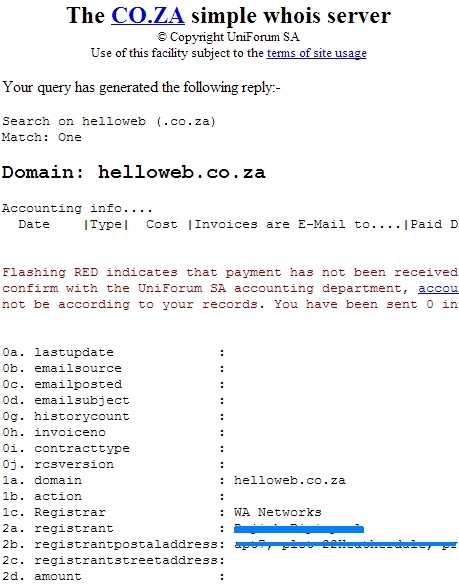 Go to http://co.za/whois.shtml and type the name you are looking for. If your Name is Free you should see a result like the Below picture. don’t be sad try alternative names which suits you , use the above method to check. Found your domain name , You need to register the Domain. If it is .co.za extension you need to get it in south africa. But nowadays even international domain providers gives you .co.za . I normally use www.webafrica.co.za for local domains. Good Reliable service. They also proving hosting , we will cover about the hosting in the next part. on the domain side is setting up your Name servers. This You can do only after you have your hosting done. It is called Domain Name Server address , Hosting will provide you with 2 name servers usually DNS1 and DNS2. This is basicallt telling the Domain that where is your Hosting server(house or Place). Hosting We will cover in the next part. Well done ! you got a House Address Now ! But you still need to get you House or Place which is hosting.